Anti-colonial activist and militant Maurice Audin went missing in 1957. PARIS — France will formally recognize the French military’s systemic use of torture in the Algerian War in the 1950s and 1960s, an unprecedented step forward in grappling with its long-suppressed legacy of colonial crimes. 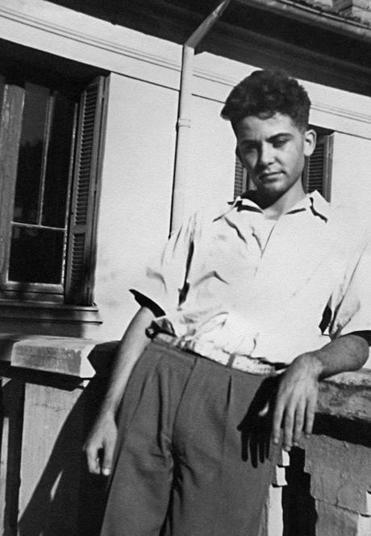 President Emmanuel Macron announced his watershed decision in the context of a call for clarity on the fate of Maurice Audin, a Communist mathematician and anti-colonial militant who was tortured by the French army and forcibly disappeared in 1957, in the midst of Algeria’s bloody struggle for independence from France. Audin’s death is a specific case, but it represents a cruel system put in place at the state-level, the Elysee Palace said. ‘‘It was nonetheless made possible by a legally instituted system: the ‘arrest-detention’ system, set up under the special powers that been entrusted by law to the armed forces at that time,’’ read a statement to be released by Macron’s office Thursday, seen by Le Monde newspaper. Benjamin Stora, a leading French historian of Algeria who has authored more than 20 books on the subject, said that Macron’s decision represented a step away from ‘‘the silence of the father’’ that has characterized France’s relationship to its colonial past for decades. ‘‘It permits us to advance,’’ he told The Washington Post. ‘‘To exit from denial and to advance in the service of truth.’’ Stora was to accompany Macron on Thursday afternoon on an official visit to Audin’s widow, Josette Audin, now 87. Macron, 40, has shown a rare willingness to wade into the memory of Algeria, arguably the most sensitive chapter in the French experience of the 20th century and one that has had a profound influence on the country’s current political institutions. Conquered by France in 1837, Algeria was a colony but also cast as an integral part of the country. By the 1950s, it was home to millions of French settlers, and when France was forced to give up overseas possessions in West Africa and Southeast Asia, it always held on tightly to Algeria. When the country revolted in 1954, the suppression was savage. The shadow of the Algerian war on French society has often been compared to that of Vietnam in the United States, but even more divisive. On a visit to Algeria in Feb. 2017, Macron, then a presidential candidate, went so far as to call French colonialism ‘‘a crime against humanity,’’ a remark that reignited a bitter national debate. In addition to recognizing state-authorized torture, Macron also called for the opening of archives concerning those who disappeared, such as Audin. Macron’s decision drew immediate hopeful comparisons to the last time a French president publicly atoned for the sins of the past — Jacques Chirac’s 1995 apology for France’s collaboration in the Holocaust.